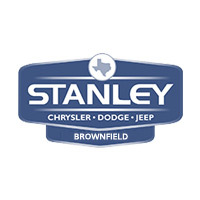 If you’re looking for a utility vehicle for your business near Lubbock, then consider buying one of the highly capable commercial vans from Stanley CJDR in Brownfield, TX. Choose from popular options like the Ram Promaster City®, which has the space and performance specs to handle big jobs in Hobbs, NM, and holds up well when compared to the competition. Get Your Commercial Van Near Lubbock Today! If you’re wondering if this is the right option for your business needs near Seminole, then check out our guide of reasons to buy a commercial vans. Stop in for a test drive today, and work with our finance department to figure out the most affordable and financially viable way to add to your fleet. Stanley CJDR is open for sales Monday through Saturday, and you can always reach us online or call us at (888) 311-1268 with questions about our fleet van lineup!